Our Horse Girth is an extraordinary product that will provide maximum comfort for your horse. 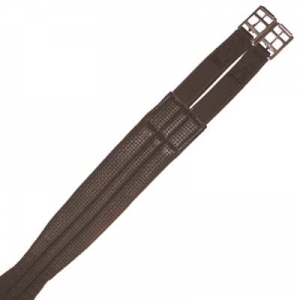 This is a Padded Shaped Girth that features padding padding to protect from chafing. Treat your horse with a luxurious Horse Girth made using only the highest quality materials available. Features elastic on each end with double roller stainless steel buckles.